Yes, this is the time of year for that fresh start. A chance to right a wrong, the time to create a new path that will help you achieve your goals. It’s at this time the majority of the people make their New Year's resolutions. Setting a goal is actually the most important element if you want to succeed. That’s because you need a clear cut picture to know exactly what you want your outcome to be for true success. So why do so many of us fail by the time February comes along? We have planned out our goal, know exactly what we need to do to achieve it, but still somehow stumble on our way there. It’s all about willpower for weight loss or the lack of it. Most of us have loads of willpower at the beginning and then run out of steam. I myself have experienced this type of failure over and over again. I’m tired of hearing so many people say “all you need is a good program to keep you on track”. Really? I know from experience that if you don’t have the willpower to follow through, no program in the world will work. It’s just a plain and simple fact. So how can we improve our willpower for weight loss? Well, we just said you must have a clear cut goal. So prepare a program for yourself (something within reach) that suits your lifestyle. This is actually the fun part. 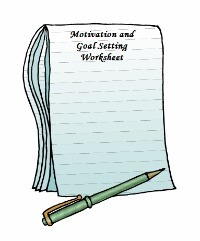 Click on the worksheet for your free worksheet guide to help you get started. Now that you know exactly what you’d like to achieve you can take action. Almost everyone can complete steps 1 and 2 without any trouble, but problems start to develop when we can’t continue our program. What is it that makes us stop trying? This is what is truly important to succeed. To stay strong you must know HOW TO CHANGE YOUR FOCUS. Yes, this will help increase a person’s willpower. Studies through the years have shown that most people will usually make positive changes in their lives to avoid pain, more so than to gain pleasure. So pain is definitely a much stronger motivator. I’ve got this short YouTube video I’d like to share with you. It’s a 2 minute audio tape by Tony Robbins that is definitely worth listening to. He explains that what we focus on becomes reality. (1) Keep a journal to help keep you on track. (2) Try to get around 7 – 9 hours of sleep. Being tired and sleep deprived decreases a person’s willpower. (3) Eat nutritious foods. How ironic right? By eating healthier foods which helps with weight loss in the first place, healthier foods can also give you added mental strength and energy to follow through more often than not. (4) Post inspirational notes and photos. Try posting motivational notes or photos of people that inspire you when starting your new healthy lifestyle. Post these in an area where you can see them every morning when you start your day. Putting pictures of your kids and loved ones on a desk nearby may move you closer to your goals. 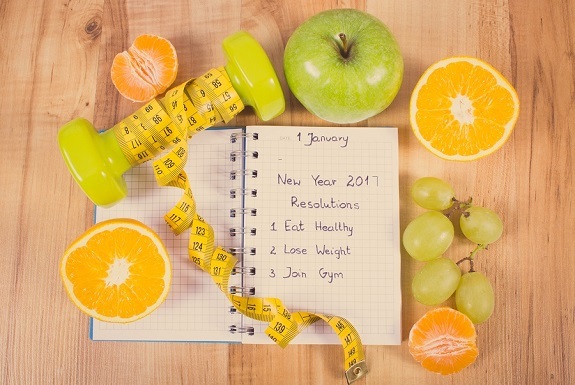 We all know that maintaining a healthy lifestyle can add years to your life. What a great way to be there for your family and friends for years to come. (5) Reward yourself once in a while for sticking to your goals. (6) Your weight scale could be hindering your progress. If weighing yourself daily doesn’t feel good, then stop doing it. Try weighing yourself once a week instead. Let's all stay focused and strong in this New Year.